But how do you rate a draft? You give a grade based on the number of guys the GM finds that can step on the field Game 1 of the next season and start? Or even make an immediate impact? Or do you grade it based on the performance of those players over the life of their rookie contracts and whether they either possess a trade value higher than where they were selected before that contract ends, or they are extended by the team that originally drafted them after they've grown into the starter role? Everybody has a different answer to this question, but to me, a great draft has elements of both. I don't see that. There is only one Day 1 starter, and that's the kicker. We all know how Zimmer slow-plays rookie cornerbacks, so Hughes will not start. He'll return kicks, but he won't start at corner. Not this year. He'll be brought along slowly, like Waynes. That's fine. I want him to learn and be really good when he does play. But if we're talking about Day 1 starters, the only one is Carlson ... if he makes the team over Forbath, which isn't a given (although I think it should be). As for developmental players, I'm reading scouting reports, and I'm seeing significant weaknesses in each. O'Neill should be able to develop into a starter, but everybody else is a crapshoot. That being said, I readily admit that every draft is a crapshoot, so we just have to let it play out. Trying not to be too negative here. I realize that drafting at 30 is much different than drafting at 10 or higher. When we're forced to rate a draft based almost solely on the long-term potential of the players chosen, it's hard for me to be as enthusiastic. I truly hope that we end up with some good players out of this. As always, I'll wait and see who emerges and root hard for anybody wearing Vikings purple. By "let down," do you mean the draft, or the entire offseason? Because if you ask me, the offseason as a whole has been one of the best I've seen in 50 years as a Vikings fan. Kirk Cousins, Sheldon Richardson, Kendall Wright and Trevor Siemian make a really nice free-agent haul. And John DeFilippo is about the best we could have hoped for in an OC. The draft -- that's a different story. So many developmental guys. It's going to take a long time to determine whether it was a win. We'll see. When you take into account Free Agency I agree with Kapp. If Cousins' crashes and burns then the view will change, but there is really no reason to think that will happen. In one respect it might be worth pointing out that they SHOULD be drafting developmental guys given the state of the roster. However, I agree with SI97 that right now the depth at Guard is probably an issue and one that based on current information feels like it was neglected. However, as I've said previously, the Vikings might have felt that one of their OL projects had come along enough to start. They did that with Easton last year and it mostly panned out. We'll find out in 3 months, until then it's time to go fishing. I haven't really kept up with the draft because of school. I browsed a few comments so I can observe some reactions. Maybe I'm missing something but I don't think the Vikings addressed the OL situation. If our OL is weak I don't think we'll be seeing 4k Cousins. I do like that we drafted a solid CB but I am wondering how you guys generally feel about the Vikings right now and what can we do to make the team better(If they need to)? It all comes down to one position. RG. Other than special teams, there was no position where we were likely to draft a starting player in the 2018 draft. 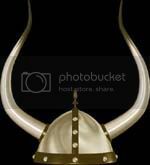 I have no objection being dissapointed about the vikings not selecting a RG with potential to start this season. I'm disappointed about it too. I think its likely the Vikings gambled there would be such a player still on the board in the 2nd round at that position and got burned. I also think its possible that the guys they thought might be able to step in and start in 2018 were already off the board, or that those who might be able to either weren't a scheme fit (Hernandez) or perhaps didn't have a very high ceiling (Daniels). That is all conjecture, and even if its accurate it is possible that the Vikings analysis of these players was simply wrong, but we would all pillory them if they ignored their own analysis of the players and it was made public. If they really got burned, they may be able to address that position via trade or by selecting a good interior lineman who is cut by another team. If the position is as desperate a need as we fans believe, it may be more justifiable to criticize how they handled free agency than how they handled the draft, but, this might be the cost of bringing in Kirk Cousins. I am curious what generally constitutes a successful draft. How many starters are selected per team on average? How many players who get to a 2nd NFL contract? I'm not sure what the measure is. Is anyone able to look up what the board was saying when we drafted Hunter in the 3rd? There is only one Day 1 starter, and that's the kicker. We all know how Zimmer slow-plays rookie cornerbacks, so Hughes will not start. I understand what you're saying, but look at the teams that enjoy success year after year like the Patriots and Steelers. They draft in the back ends of each round year after year. How many day 1 starters does Belichek snag in a draft? Or Tomlin? Not many, and that's because they don't need to find immediate fixes in the draft and hope they can develop. They find guys who have dropped lower than their value otherwise dictates and are content to develop them. They plug immediate holes in FA and via trade with vets where they have a pro track record to go on. Like you, I don't know if this draft will end up being good or bad, but I do know that it seems the Vikings may have finally graduated from the school of "oh crap, we need to find immediate starters in this draft if we're going to be successful the following season to "if we find a few immediate contributors that is fantastic, but we're just planting the seeds of the replacement crop of players that will help us in future free agency periods to stay competitive with the rest of the league year after year". As Vikings fans, we are simply not used to being in this position. Like "The Caveman Lawyer" from SNL, we are frightened and confused by this new mode of operation. But I take it as a good sign. No, I take it as a GREAT sign. The team seems to have finally turned a corner. 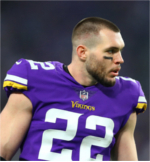 If Spielman and Zimmer feel they have a dire need at at position heading into the season, they'll do what they have to do via trade or further in FA to solve the problem. But the guys they snagged in the draft are going to be given a chance to marinate and develop into reliable starters targeting mainly the seasons beyond next. This is how the great teams draft and evolve, and I for one am really glad that the Vikings are finally in a position to do it and be successful doing it. We had a need to protect our HUGE QB investment. I would say 90% of the so called experts said the same thing. We need a good guard or tackle with our first pick (and imo our second pick). Ones that can play, and protect Cousins from the start of the season. We failed to do that. I am betting it will take O'neil at least a year before he plays tackle, barring a ton of injuries. We also took a CB in Hughes who wasnt a need, or practical. We need the Oline help now. We have the Cbs covered, and if they get injured, we do what every other team does, we fill the void with what we have. I'm not happy with the first 2 picks at all. Maybe Hughes is a stud CB. But that certainly doesnt make him BPA when Hernandez was still available. Rick panicked when Price and Rag got taken early. That should have told him right then to take the next best guard. But he took some troubled CB that maybe will return kicks someday, but isnt the best size of CB, like Rhodes is. And I understand we draft for the future. But the future looks dim if Cousins get hurt, or has no time to throw the ball. Kase was jumping and dodging D lineman ALL season. We had a need to protect our HUGE QB investment. I would say 90% of the so called experts said the same thing. We need a good guard or tackle with our first pick (and imo our second pick). Ones that can play, and protect Cousins from the start of the season. We failed to do that. What did you expect would be available at #30 in this year's draft to address that gaping hole, if it exists at all? Maybe Spielman missed on Hernandez. Maybe he starts next year and is a dominant player out of the gate. Odds are that won't happen, but it could. And that still doesn't mean that Cousins is in dire straits next season, or that Spielman/Zimmer can't address whatever dire need there is at guard or offensive tackle in some other way prior to the start of the season. It is always great to find players that can step onto the field in the season they are drafted and make an immediate impact, but that is just luck for the team that drafted them. That is as good a draft strategy as planning to win a lottery is as a retirement strategy. Hughes was the value choice at #30. His physical talent cannot be questioned. He slipped only because of his off-field concerns, and as good as Hernandez and some of the other OL players were when #30 came around, none of them can put points on the board, or keep them off the board, like Hughes has the potential to do. Give it a chance. I really think the Vikings are set up incredibly well right now. Not ideal, but so what? If the preseason indicates the Vikings need to make a strong move to shore up the OL, they'll do it. And they'll do it with a vet with a proven NFL track record. No way Spielman lets Cousins go into the season without protecting him. No way that will happen. You kind of proving the point. We didn't have a need at tackle but we had a huge need at guard. We are missing a starter and our other started was easily upgradable. Even if we slide Remmers in, which I prefer because I believe he shouldn't be on an island, That's still a big need at the other guard spot. One that I think is more important than the RT spot. I trust Hill there more than I trust Easton. KR could have been addressed any number of ways in this draft (WR, RB, CB etc). Hughes is a stud. Hernandez is a stud. One of those positions is a glaring weakness the other is nice to have depth in and now we have too much depth. Again, you say "we didnt have a need for tackle". Says who? If they are adamant about keeping Remmers at RG, then that leaves us Reiff and Hill. And Hill is far from a stud. So saying that we "didnt have a need for tackle" is false IMO. We needed an offensive lineman. Guard or tackle. Someone thats athletic and has versatility. So you're saying there's a "big need" at the RG spot. Not sure why you trust Hill more than Easton given how Hill played at years end. Either way, there isnt much of a difference between Hill and Easton talent wise. It's more about pass blocking for me. Dalvin Cook is a creator. Just like Adrian was. He doesnt need an all world guard to be successful. I'd rather protect Cousins more than anything. Hill struggles badly against speed rushers. Outside of Price and Ragnow, they basically had their pick of the litter. Just to be clear, when I said we didn't need a tackle that was with Remmers at RT. The tackles were picked over, and the Guards were still available. My statement is about selecting a guard because that is what had the highest upside of what was left. Bench strength is about upper body strength. Blocking on the line uses primarily lower body strength. Not saying Oniell won't be a stud but Even with him, both guard positions in Remmers and Easton should be upgraded. You really need to watch some cowboys games and see what a good oline looks like. You build a team from the line back. When choosing between a stud CB and a Stud Olineman, I will take lineman every day. And again, it looks like they want Remmers at OG. They felt more comfortable with Remmers at RG and drafting a tackle vs. keeping Remmers at RT and drafting a guard. They "could" be upgraded but they also arent hurting our OL. They are decent enough to make this offense successful. Hill was the #68 OT according to PFF this year. If they want Remmers at guard, RT HAS to be upgraded. Remmers and Easton both graded out middle of the road. at that statement ^. Because the Cowboys have had a ton of success over the last 10 years..... in 2016, they went 13-3 and couldnt get out of the first round of the playoffs. And then followed it up by missing the playoffs last year. And have a good chance to miss the playoffs again this year. So tell me what that "great OL" has done for them? You need a DEFENSE. They dont have one. You dont build a team from your OL up. Have you ever heard "offensive line wins championships"? No. Does your OL have to be solid? Yeah but using the Cowboys is a very poor example. No different than the Raiders that same year. Loaded offensive line and now look. What did they accomplish? Neither team has made it as far as us nor does either team have the talent we currently have on both sides of the ball. A lot of "experts" seem to think Spielman got some steals in this draft because of the.measurables. I am still very worried about the OL. Maybe one of the guys really steps up and we have an even better OL again? I think if Spielman and Zimmer really thought the offensive line was in dire straits at even one position, they would have addressed it by now in free agency or via a trade. If they thought any of the offensive linemen available at #30 was an immediate fix for an immediate need, they would have drafted him there. So that tells me the need isn't as great as some fans seem to believe, or that even if it is that great, the draft was the right place to address it.